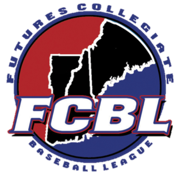 Nashua, NH - The Nashua Silver Knights announced that they have hired General Manager, David Pahucki, and Operations Manager, Cameron Cook. General Manager Dave Pahucki earned his master’s degree in sports management from Southern New Hampshire University after a five-year professional baseball career. Pahucki is a Hall of Famer and graduate of Siena College who was then drafted by the Red Sox in 2002 and went on to play for the Single A Lowell Spinners and the Double A Portland Sea Dogs. Serendipitously, Pahucki’s professional playing career ended at Holman Stadium with the independent professional Nashua Pride team, formerly of the Can-Am League. Since then, Pahucki has worked in the baseball and hospitality fields in New Hampshire and New York. “I am excited and privileged to advance my career in the front office at the same place -- Historic Holman Stadium -- where my professional playing days wrapped up. I know firsthand how much baseball at Holman Stadium matters to the Nashua community. The Silver Knights will be working tirelessly to embrace and reflect back the enthusiasm and devotion our fans have to the team, ” Pahucki said. Operations Manager Cameron Cook returns to the Silver Knights organization after having played for the back-to-back Futures League Championship squads in 2016 & 2017. He is also the all-time Futures League record holder for hits in a season with 81, set in 2017. Cook graduated from Nichols College with a business degree in sports management where he captained the baseball team for three years. “Working now for the Silver Knights organization where I have such wonderful memories from being a player for two Championship winning summers is incredible ,” said Cook. “Already since I started in the Knights’ front office, it’s been great to reconnect with the fans and the community of Nashua. Holman Stadium is a jewel of a ballpark and an inspiring place to come to work every day. I cannot wait for more Knights baseball this summer, but I’m also excited for the year-round programming and initiatives that Dave and I have planned for the community,” continued Cook. The Silver Knights’ 2019 season kicks off with a home opener at Holman Stadium on Wednesday, May 29 at 6:45pm against the Brockton Rox. There will be a fireworks show after the game. Tickets are available by calling the office: 603-718-8883.